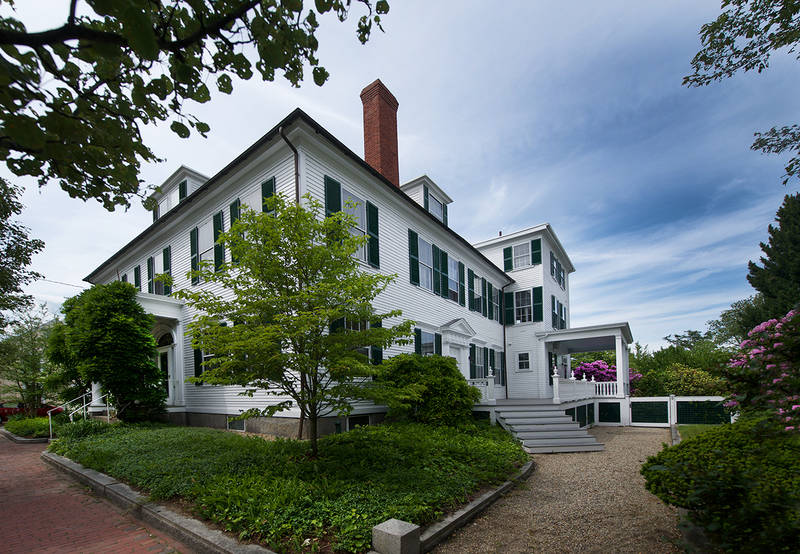 Located on High Street, a renowned avenue of prominent, distinguished and historic homes in Newburyport, MA. Sitting in the city’s center and highlighted by the brick side walks and a pleasant, scenic stroll to downtown. 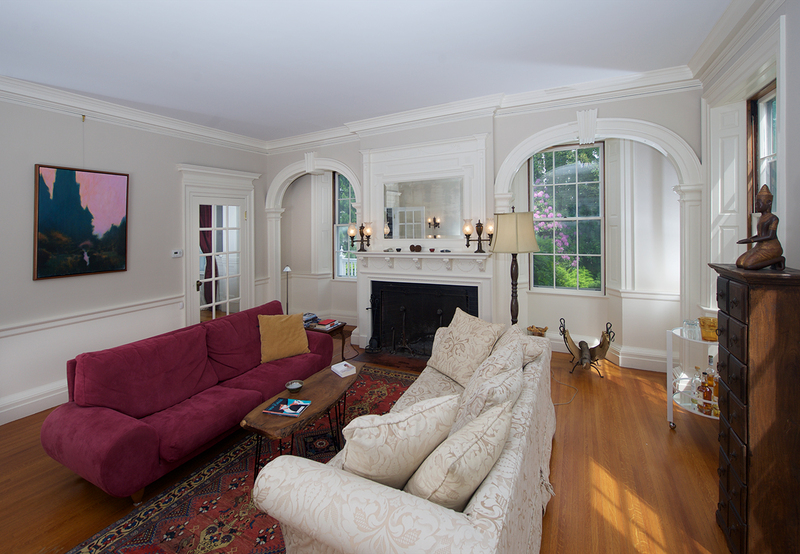 This circa 1803 Federal style home is a great example of skillfully blending the old with the new. 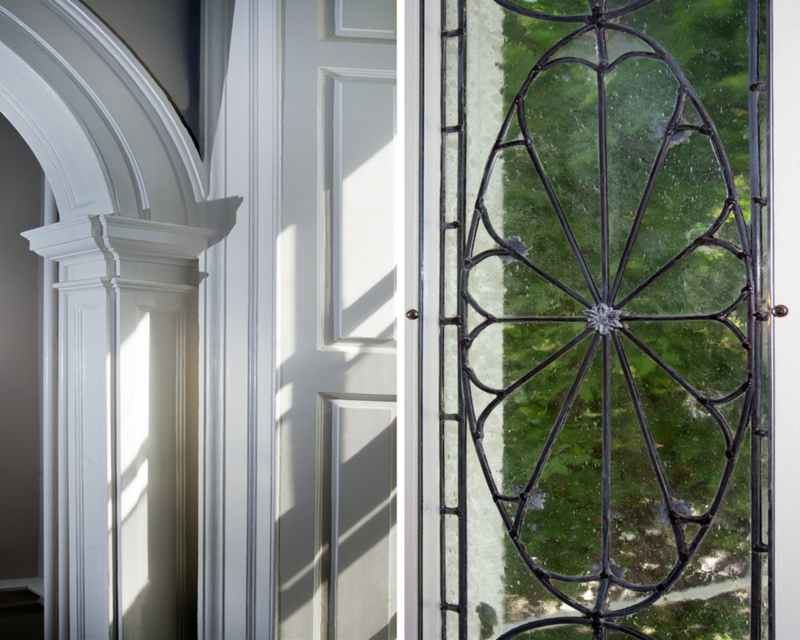 Retained are the desirable and fabulous older features that include the grand scale, fine detail, and well proportioned rooms with their high ceilings and large windows. 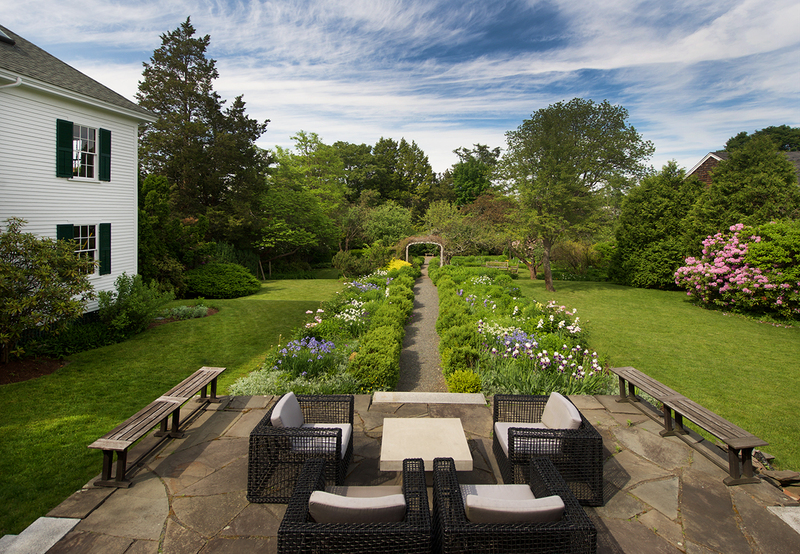 Combined with the remarkable and carefully executed kitchen, and carriage house renovation. 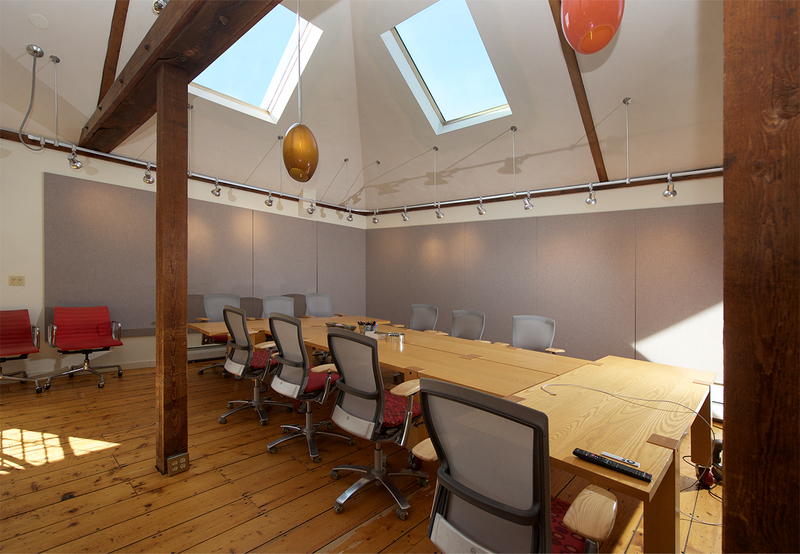 The two story, five room carriage house was renovated to accommodate the current owners business with contemporary work space, meeting rooms, vaulted ceilings, kitchenette, full bathroom and a dramatically designed modernist staircase. 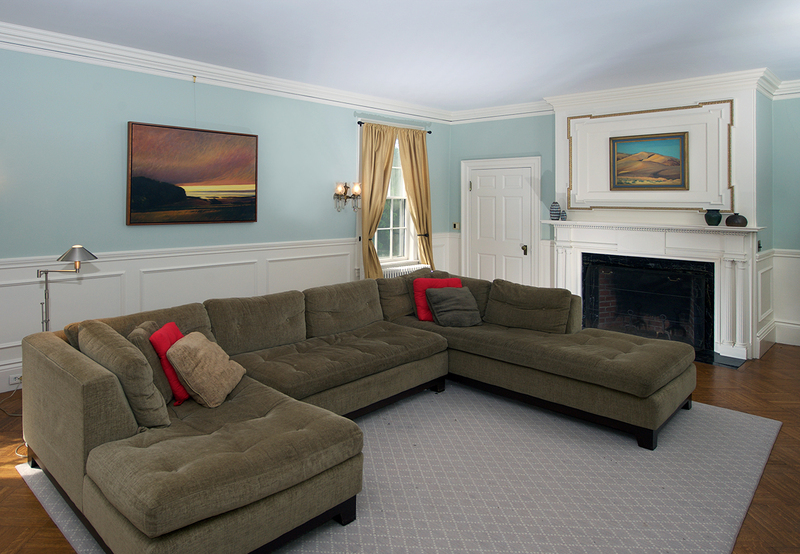 The arrangement allows for great and varied uses that include working and living in one location in the heart of a dynamic city close to Boston. 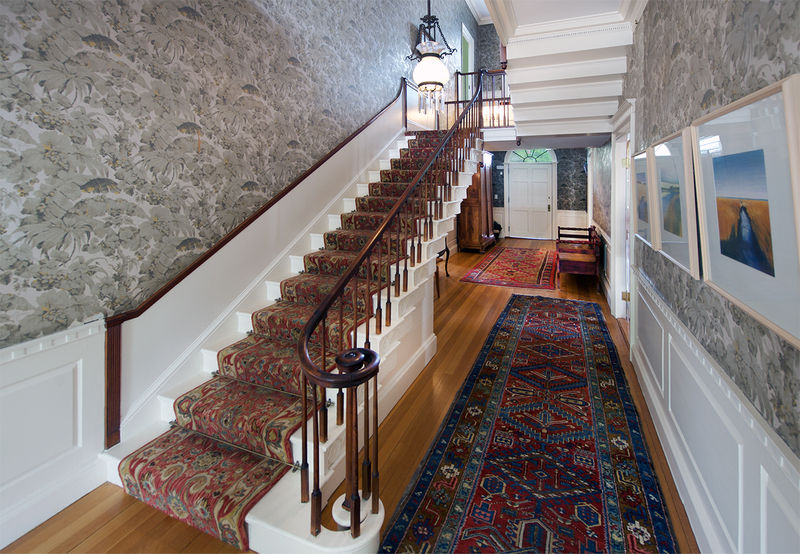 The inviting wisteria covered entrance with fan light window above and restored leaded glass on either side of the door, leads you into a front to back foyer with a striking floating stair case and central hallway above, adorned with a hand blocked wall covering. 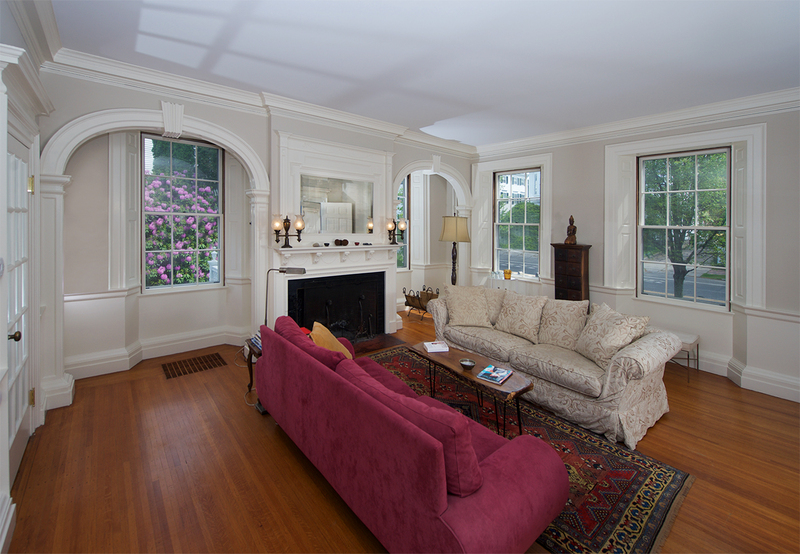 Over the years the home has maintained important detail and finishes throughout. 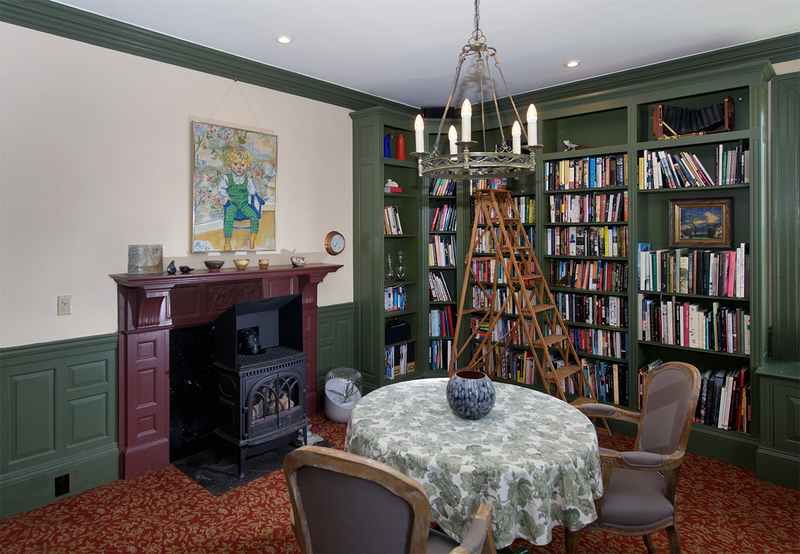 On either side of the first floor foyer is a living room with Edwardian arches and family room both with fireplaces, and a library with built-in book shelves and gas stove. 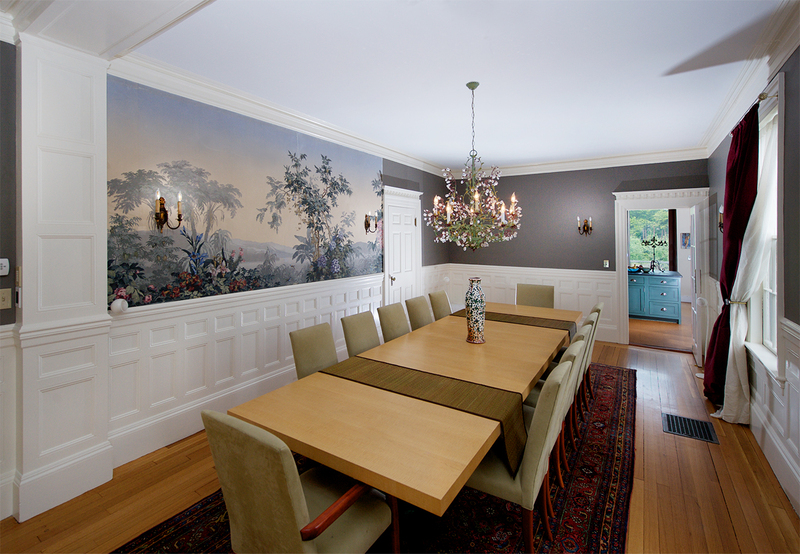 The grand dining room with Zuber wall covering, wall scones, wainscotting and a view that looks out to the covered porch, comfortably accommodates a large gathering. 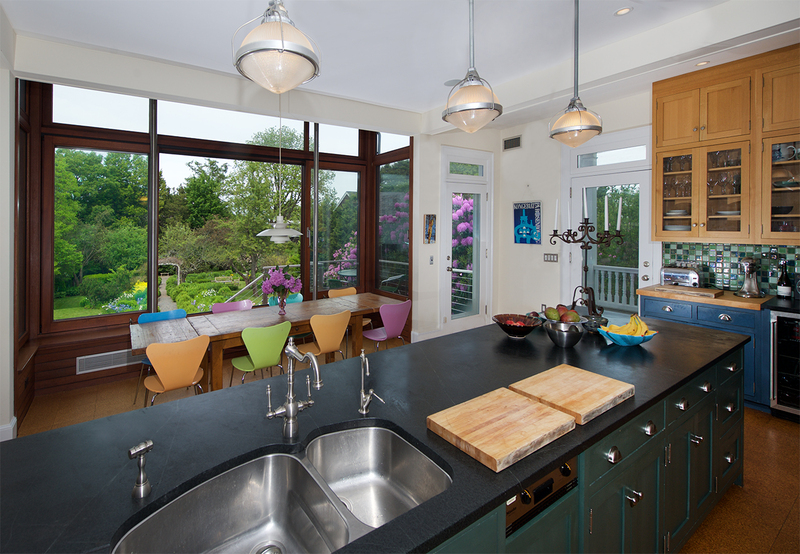 The spectacular kitchen is a highlight in the 2016 Newburyport PTO Kitchen Tour, read about it in the Newburyport News, supporting the Newburyport public schools. The 22′ x 20′ space is the heart of the home and sits above, and looking out to the .79 acre yard. 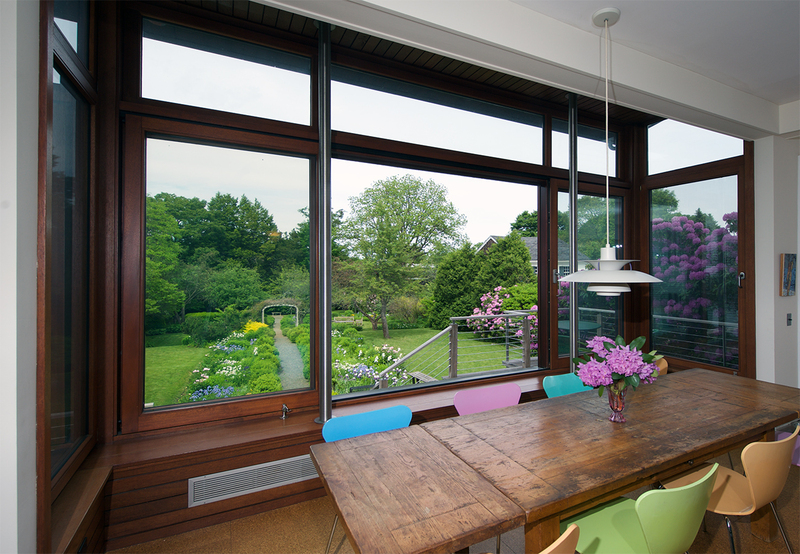 This room features an expansive German engineered, tilt/slide window system that opens up to the deck and lower patio and brings in the spectacular historic garden. 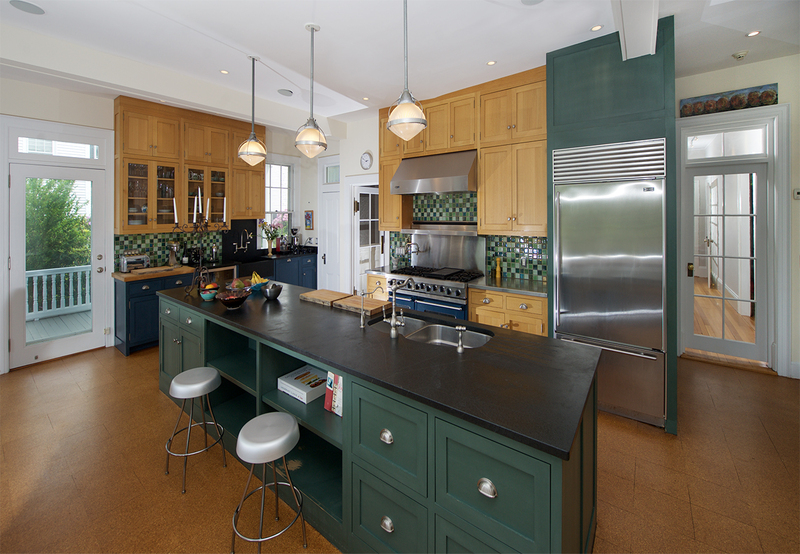 The artfully designed space has a dramatic soapstone center island, cork floors, wet bar and many details that create an amazing place to cook as well as a fabulous gathering space. 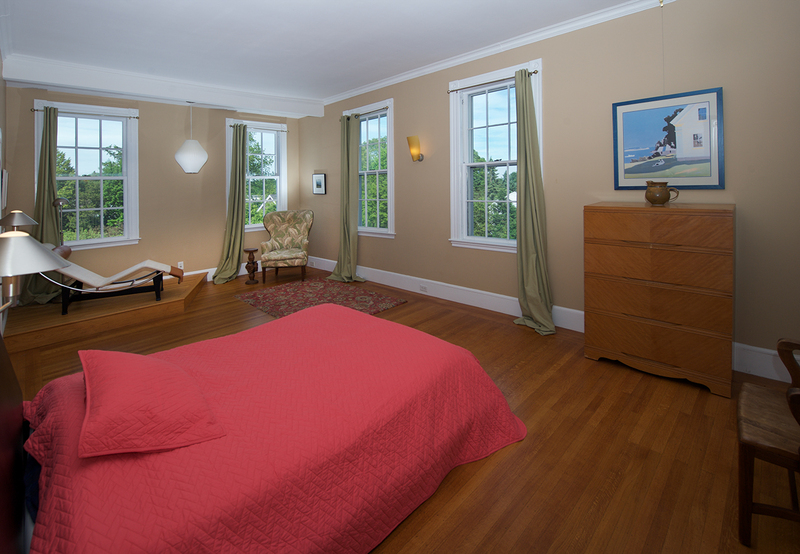 A tiled mud room with large windows sits adjacent to the kitchen. 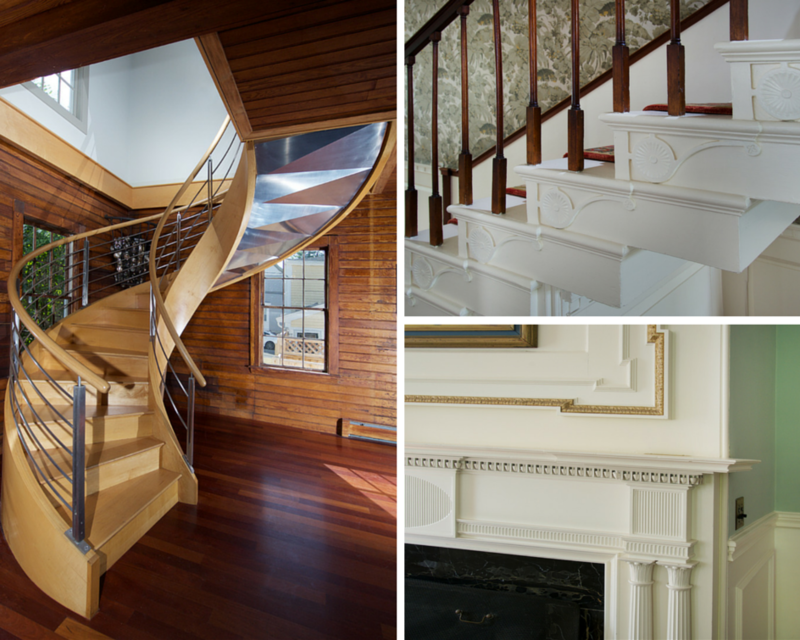 The second floor offers four bedrooms and three full bathrooms, beautifully arranged around the floating staircase. 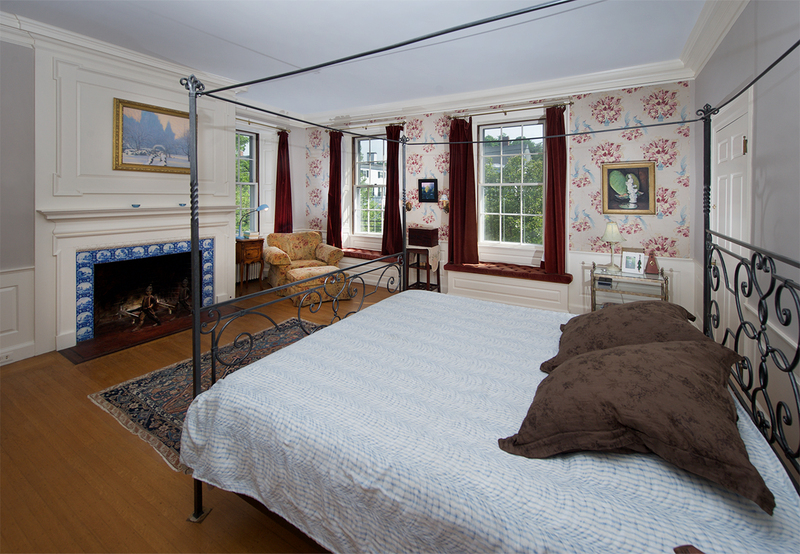 The en suite master bedroom has a fireplace with Delft tile and a large dressing room. 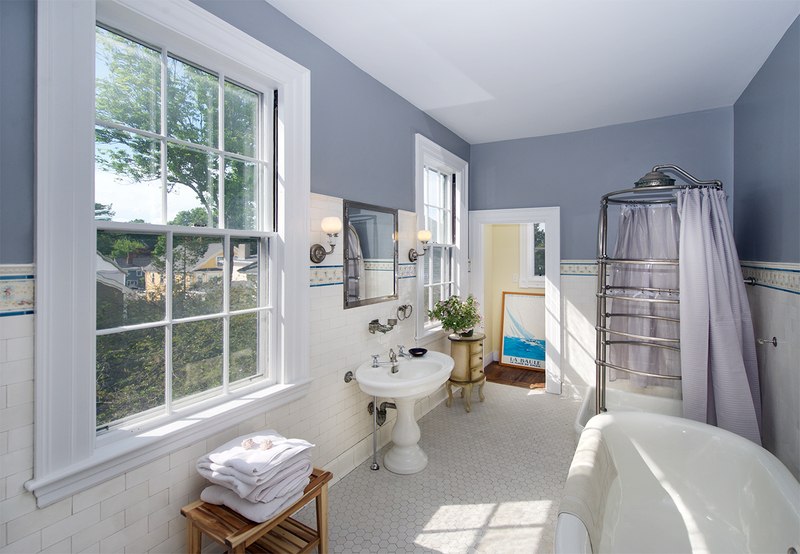 Notable is the 1920’s tiled bathroom with an Edwardian needle shower and soaking tub, especially captivating when the sun filters in. 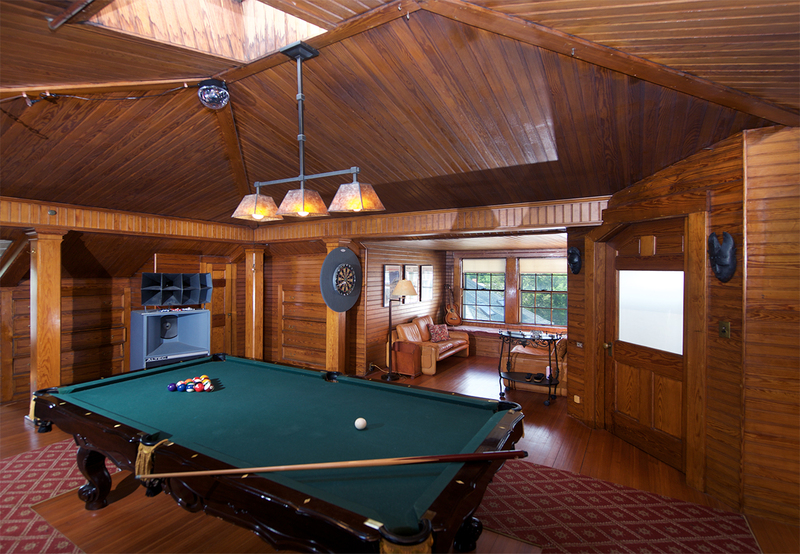 On the third floor is a billiard room with gum wood paneling on the walls, seating, and ceiling as well as two extra bedrooms and a bathroom. 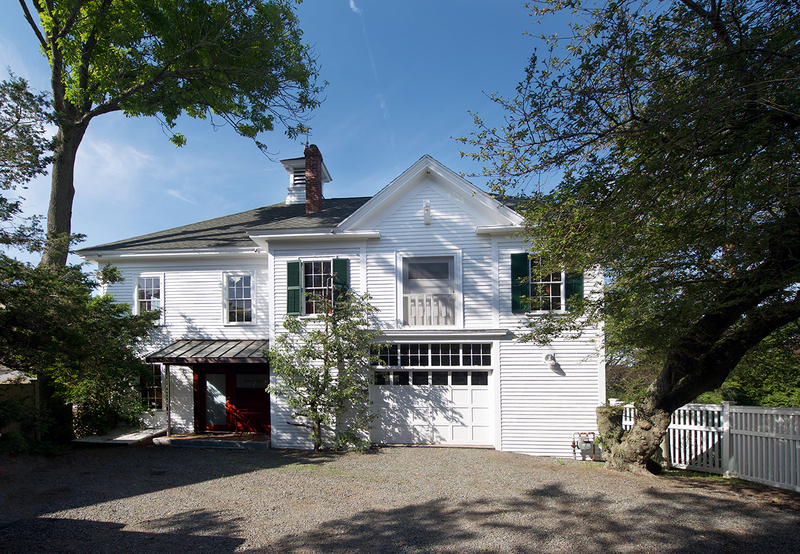 The lay out of the property carefully connects the home to the renovated carriage house with garage space. 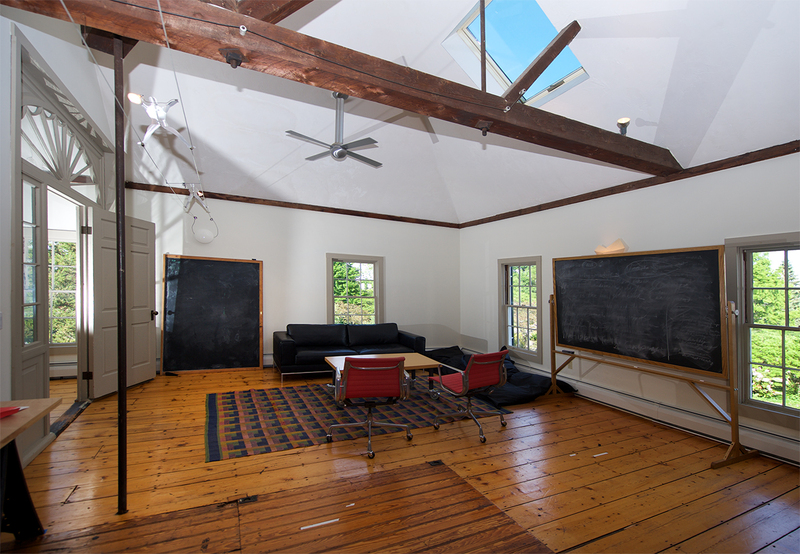 Easy to keep this work space, that currently allows for three employees, very separate from the home or occasionally host events that tie the carriage house, kitchen and garden space together. The yard offers exceptional space and privacy, an oasis in the downtown, with plenty of space to consider the possibility of a pool or tennis court. Newburyport is a small coastal city with a revitalized, active downtown on the banks of the Merrimack River. 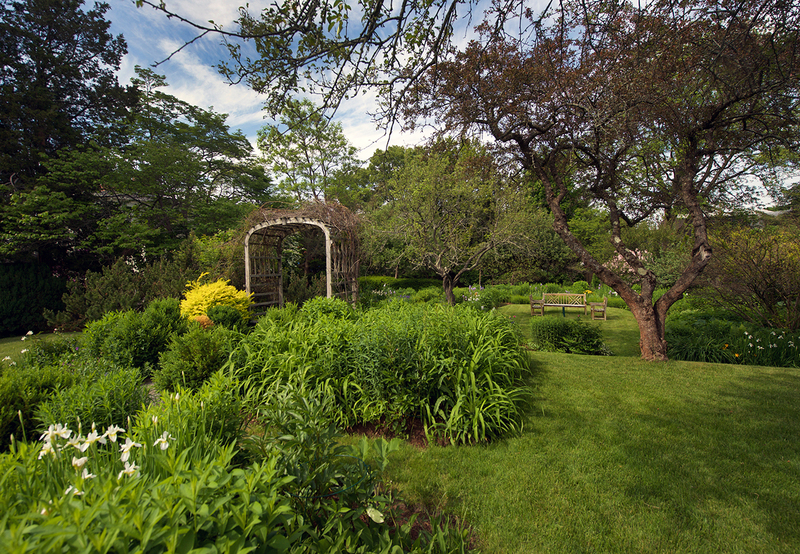 Easy to enjoy the parks nearby and the ocean Beaches on Plum Island. 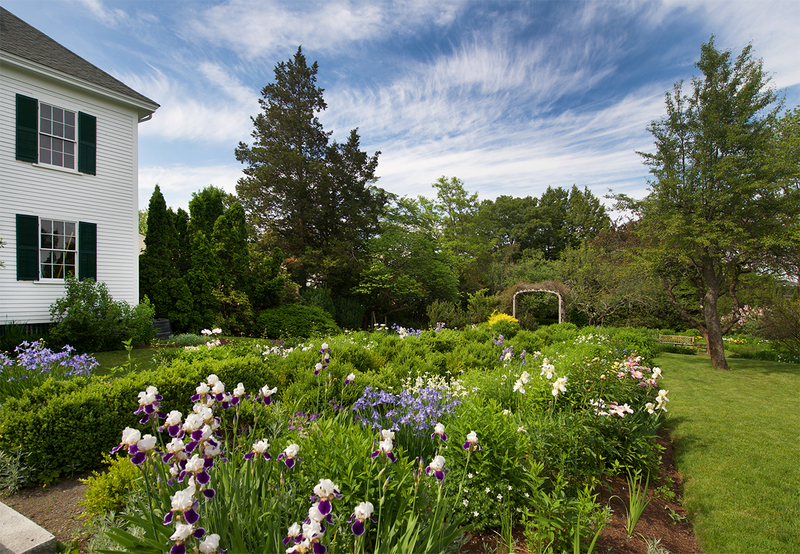 The Newburyport to Boston commuter rail station is less than one mile away. 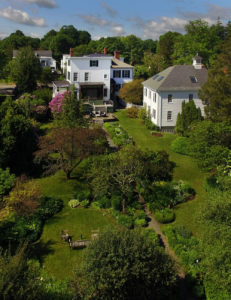 See a past post about this home published on the P. Preservationist web site.